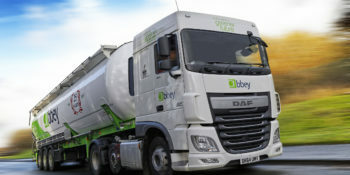 Abbey Logistics is the UK’s largest bulk liquid food transport provider, moving more than one million tonnes of liquid foods per year around the UK and in Northern Europe in specialist liquid road tankers. In addition to food products we also provide bulk liquid haulage, transport and logistics for non-food products including plastics, non-hazardous chemicals, waste products and fertilisers. Our diverse liquid road tanker fleet, combined with our industry leading depot network and teams of highly trained and dedicated drivers ensure that our customers receive a convenient, reliable, flexible, and responsive service. We support our customers through a personalised and tailored approach, taking the time to understand our customers’ challenges and then working with them to implement a solution that is cost effective, performance enhancing and user-friendly. 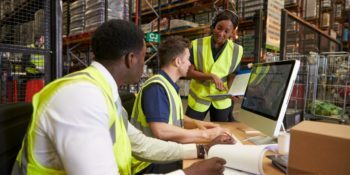 In the highly regulated and sensitive markets in which we operate, compliance is key to our success and Abbey invests heavily in both driver training and our equipment to ensure product integrity at all times. We operate our own tank cleaning facilities in Liverpool and Hull which is supported by a nationwide network of approved facilities that enables us to maintain maximum control of our operations and manage costs. A Certified to transport food, animal feed, waste and non-hazardous products. Abbey provide multimodal transport solutions for the shipment of bulk food liquids and powders throughout the UK and Europe with our fleet of 20 foot and 40 foot ISO tank containers. Our tanks have various specifications to suit a variety of products including pressurised, heated, refrigerated and insulated ISO tanks, and through our highly experienced technical team, we can tailor our ISO tanks to suit our customers’ requirements. We offer driver accompanied and unaccompanied deliveries and operate between the UK and Northern Europe, utilising the experience and expertise we have gained through more than 25 years of food grade bulk logistics we now apply this knowledge to our intermodal ISO tank fleet operations. Our commitment to providing safe, environmentally friendly transportation of food grade bulk liquids and powders is supported up by our ISO9001 certification, and SQAS attestation.